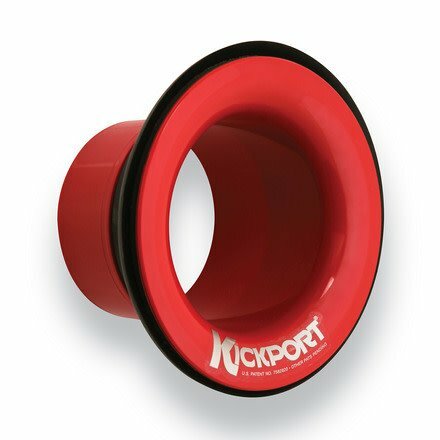 Red KickPort2 sound enhancing bass drum drumhead port insert. Both for the audience and players, the award-winning patented KickPort delivers audible improvements to maximize the sound properties and tonal qualities like no other products or devices in the world. Sound matters!